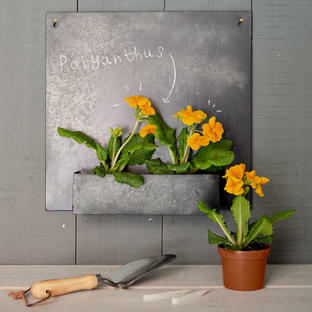 Ideal for a to cheer and add a little colour to a drab wall in the garden. 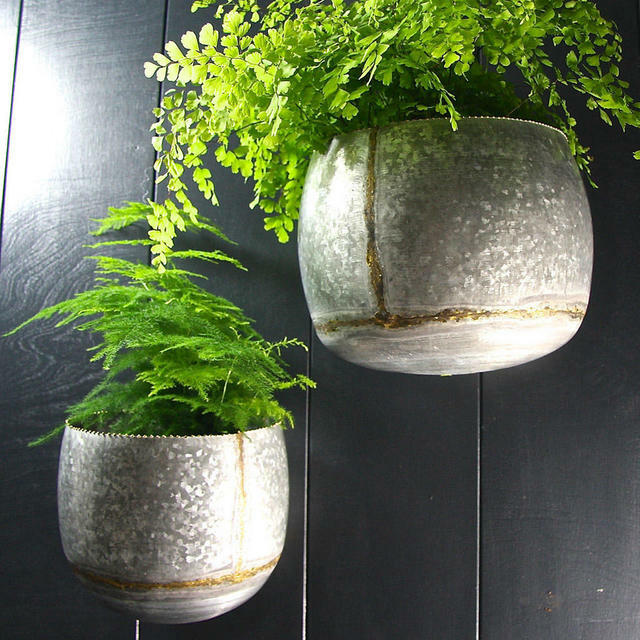 Made from galvanised steel with a zinc finish, this set of 2 wall planters are the perfect way to create your own hanging gardens of Babylon in your garden, patio or balcony. 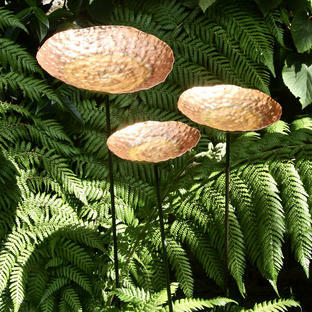 There are no drainage holes, so ideal for succulents, maidenhair ferns or trailing ivys. The planters look lovely in a garden room, but remember to line the planter first to prevent any seepage if using inside. 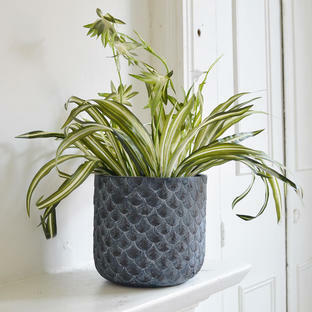 Or alternatively pop a faux trailing or succulent plant in the planter, see here for ideas. Made from galvanised steel with a zinc finish. Copper detailing around the edge of each planter. 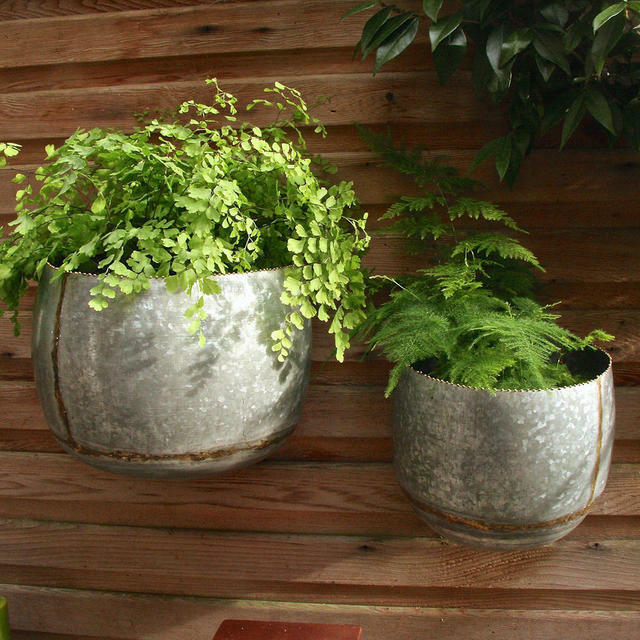 Hook onto a secure wall or fence with a screw - not supplied. 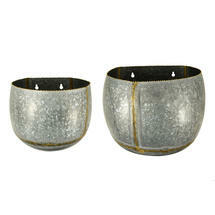 Set is made up of 1 large planter and 1 small planter.